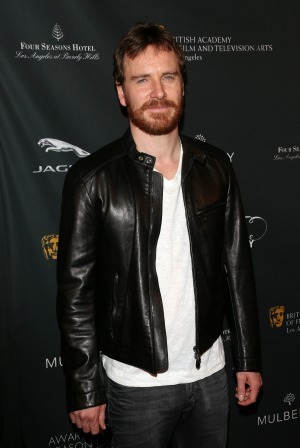 Is Michael Fassbender dating Gerard Butler’s ex-girlfriend? Michael Fassbender’s career is heating up and if rumors are true, then so is his love life because he’s dating his former co-star Gerard Butler’s ex-girlfriend. Michael Fassbender‘s career is heating up as the actor has been receiving a lot of praise for his performance in 12 Years a Slave. And now it appears his love life is also heating up! Fassbender reportedly has a new woman in his life, and this is not the first major celebrity she has been romantically linked to. The woman in question is Gerard Butler‘s ex-girlfriend, Romanian model and actress Madalina Ghenea. The Shame actor found himself single not long ago, when his relationship with British Olympian Louise Hazel, who he was rumored to have been dating since May 2013, fizzled out. However, things are now looking up for the Prometheus star, and according to The Sun newspaper, Fassbender took his new lady on a romantic trip to New Zealand in November and then the pair welcomed in the new year in Ghenea’s native country Romania. The couple may be happy and their romance is blossoming, but it appears they do not want the prying eyes of the public to affect a good thing, so that’s why Fassbender decided his date to the 2014 Golden Globes on Sunday should be none other than his big sister Catherine. Although Fassbender lost out on winning a Golden Globe award — he was beaten out by Jared Leto for his performance in Dallas Buyers Club — things can’t be all that bad. Fassbender still gets to go home to his former Peroni model girlfriend. Could the rumors be true? We hope so.